Who are France and Croatia’s GOAT? Following on from the Davis Cup final between France and Croatia, we’re asking: who is the greatest tennis player of all time from each country? Two countries with a rich history of tennis. Two countries with amazing male and female tennis players that span generations. So who is the greatest tennis player of all time (GOAT) for each respective country? It’s hard to select someone as the GOAT of a nation when you’ve never watched them play, and your recency bias encourages you to instead go with a two-time major champion like Mary Pierce or Amelie Mauresmo, the latter also a former world No.1. Yet when you look at Suzanne Lenglen’s record, it’s hard to find anyone else more deserving of the honour. Dominant in the 1920s, Lenglen won 12 Grand Slam singles titles – six at Roland Garros, six at Wimbledon – and was arguably the biggest superstar in world sport in her time. She finished her career with a whopping 250 titles across the singles, doubles and mixed disciplines, and is forever immortalised via the iconic show court that bears her name at Roland Garros. One of the toughest countries to assess, the French have had many amazing players over the years, but no certified GOATs. The three I considered were: Amelia Mauresmo, Mary Pierce and Yannick Noah. And I’m taking Mauresmo over Pierce — but it’s very close. They both won two majors and both had seven finishes inside the top 10, but Mauresmo was a little bit more productive — seven more titles, better record against top 10 players, more overall tour wins — in an era that included both Williams sisters, peak Lindsay Davenport and peak Maria Sharapova. The nation of just over four million people has produced an extraordinary number of talented players. Borna Coric is on the verge of the top 10. Fellow youngster Ana Konjuh cracked the top 20 in 2017 before injury intervened. The enduring Mirjana Lucic-Baroni is twice a Grand Slam semifinalist. Ivan Ljubicic and Mario Ancic were both top-10 players. But when it comes to the GOAT discussion, you can’t look past major champions Iva Majoli, Goran Ivanisevic and Marin Cilic. The trio each own one Grand Slam title – Majoli won at Roland Garros (1997), Ivanisevic triumphed at Wimbledon (2001) and Cilic was victorious at Flushing Meadows (2014). But Cilic gets the nod because his CV is more complete across all surfaces in perhaps the most talent-laden era of all. Majoli’s domain was clay; her record of 28-10 in Paris far outshines her records at the other majors. Ivanisevic made four finals at Wimbledon but did not go beyond the semis at any other Grand Slam, thriving on the slick lawns in an era of serve-bots. 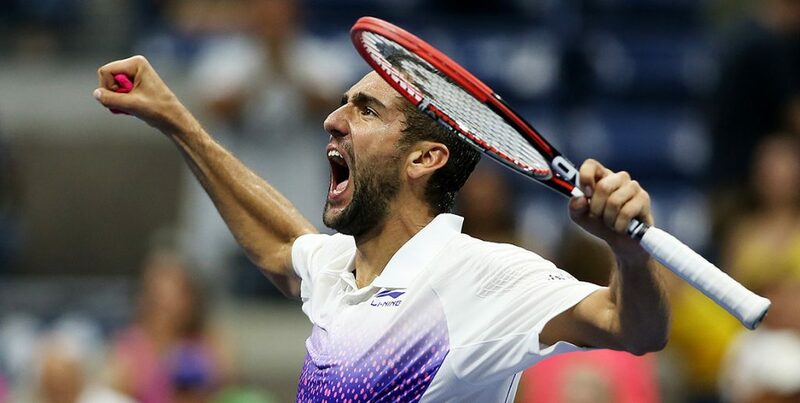 After winning the US Open – with Ivanisevic as his coach – Cilic has gone on to reach finals at Wimbledon and the Australian Open, and is also a quarterfinalist at Roland Garros. There’s little separating Cilic and Ivansevic; both won Masters titles and both contended with the best of their respective eras (Ivansevic faced Sampras, Cilic faced Federer). But although Ivanisevic also faced Agassi, Cilic has had to battle Nadal, Djokovic and Murray as well. Given the depth of this field, plus his aptitude across all surfaces and perhaps a more well-rounded game, Cilic is my pick for Croatia’s GOAT. The popular GOAT choice is going to be Goran Ivanisevic, but allow me to make the case for Cilic. But if you factor in degree of difficulty, Cilic gets the edge. But Goran’s competition was not in the same stratosphere as Marin’s: the combination of Sampras, Edberg, Becker and McEnroe won a total of 33 Grand Slams. The big four has won 54. Ivanisevic may have slighter better numbers, but Marin’s year-in, year-out production against the three greatest male tennis players of all time and Andy Murray is the marginally better achievement.